Last week, Kalief Browder joined the list of victims of police abuse to have died due to unjust persecution and bias in our justice system. Unfortunately, you are unlikely to hear about his case from most media outlets, as he didn’t die in a hail of bullets or get choked to death on camera—he took his own life due to mental problems acquired during his years-long pre-trial incarceration. 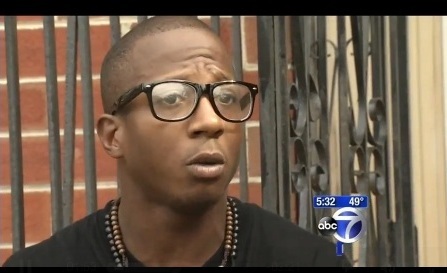 In 2010, Kalif Browder was a 16 year old high school sophomore living in the Bronx. While walking home one night in May with several friends, Browder was stopped by police because a man named Roberto Bautista had claimed that Browder and his friends had robbed him of his backpack, wallet, and tablet computer. In response to this accusation, Browder let the police search him, in order to prove that he didn’t have any of the stolen property. When the “victim” was told that the search had come up empty, he changed his story and began claiming that Browder and his friends had robbed him over a week earlier and that is why Browder didn’t have any of the stolen goods on him. After some discussion, the police decided to take Browder and one of his friends to the station, fingerprint them, and begin talks with the DA’s office about what to do with them. The next day, Browder was arraigned, charged with assault, robbery and grand larceny, and granted $3,000 in bail. Browder was the youngest of seven children in a lower-income family, so his parents simply didn’t have the money to post bail, and Browder was condemned to stay in Riker’s Island until trial. The next three years were an absolute nightmare for Browder. Despite the fact that this case was as simple and circumstantial as a case can get—the police had one witness (the complaining victim) and no physical evidence—the prosecutors filed repeated motions to delay the trial because they weren’t ready to proceed. The reasons for these delays were varied, and included everything from the prosecutor asking for more time to prepare for trial, to him being busy with another case or even on vacation. In New York, you have the right to a “speedy trial” starting within six months of your arrest. Unfortunately, these delays subverted that rule because of cramped scheduling and a loophole in the law (ex. if the prosecutors ask for a one week delay and the next time that a hearing can be scheduled is in six weeks, then the real-world wait time will be six weeks, but only one week will count towards the speedy trial timer). In short, Browder was trapped in a legal time-warp, where months became years behind bars, yet the “speedy trial” provisions only registered a fraction of this time. While incarcerated, Browder was severely beaten (Warning: link has video with upsetting content) by guards on numerous occasions and a regular target of gangs for abuse. He was denied a proper education and eventually thrown into solitary confinement, where he remained for the majority of his stay. While Rikers officials will not confirm exactly how long Browder was placed in solitary, most reports indicate that he spent a minimum of two years in the solitary ward. During this time, he became suicidal and tried to kill himself, first by hanging himself with his bedding and then by slitting his wrists with a sharpened piece of plastic—both attempts were stopped by guards. 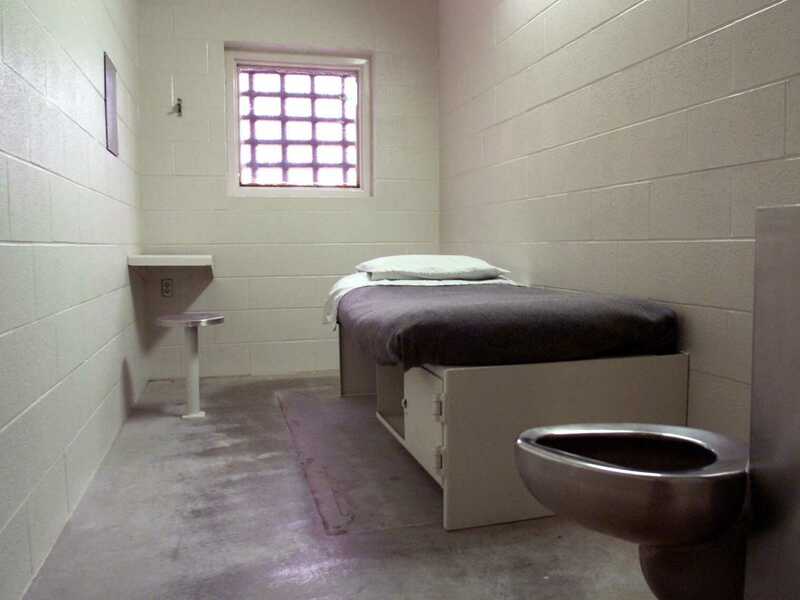 This is what an average solitary cell looks like. Solitary confinement is an extreme situation for an adult to be facing, never mind a 17 year old kid whose mind is still developing. It involves spending 23 hours a day alone, in a bare cell, with nothing to do and nobody to talk to. Prolonged solitary confinement causes changes in the brain chemistry, slows down certain neurological functions and increases the likelihood that a victim will develop severe mental illnesses (ex. depression, anxiety, etc.). From an international legal perspective, solitary is a type of non-touch torture that is almost universally banned due to the harm it causes. In 2013, after the Bronx backlog became a political issue in NYC politics, Judge Patricia M. DiMango was brought into the Bronx courthouse to help clean up the mess. She was essentially tasked with clearing up as many cases as possible in order to clean up the logjam that was crippling the court, and the Browder case was one of her to-do items. She offered Browder a deal where he would receive time served for pleading guilty two counts of misdemeanor theft. Despite his long pre-trial incarceration, Browder refused this deal, maintaining his innocence and demanding a trial. Later that year, Judge DiMango discovered that prosecutors had completely lost contact with the supposed victim—a Mexican tourist who went home—years ago thus had no complaining witness. In effect, they had no evidence, no victim and no witnesses, but were using the endless stream of delays to conceal this fact from Browder and his legal aid lawyer (who was overworked and unable to dig further into the situation). If such a case ever reached a courtroom, it would be dismissed on grounds of legal insufficiency before the opening arguments, and the prosecutors must have known this. After discovering this complete lack of a case against Browder, Judge DiMango talked with the prosecutors and had them drop the case. Browder was released from prison after three years, without ever standing in front of a jury or being able to plead his case. 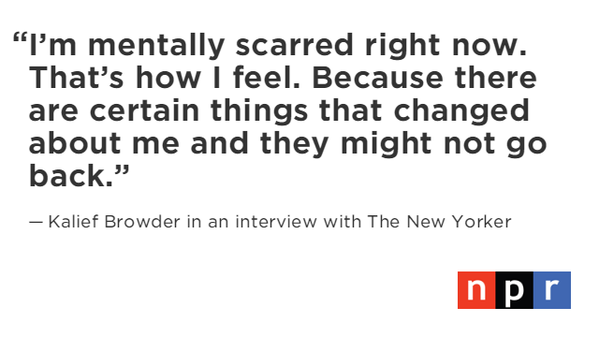 Unfortunately, Browder’s time in prison took its toll and his life was essentially derailed. Because he was incarcerated, Browder was unable to complete high school, had no job experience, and suffered from several emotional issues he developed in solitary—crowds made him nervous, basic social interactions were hard, and he suffered from intermittent depression, anxiety and paranoia. These problems led Browder to be hospitalized for psychiatric problems twice after returning home and resulted in him being prescribed mood stabilizing drugs. Unfortunately, last week, Browder’s mental health took another downturn and he successfully hanged himself at his family home. First, the police who arrested him failed to do any real police work and based their arrest on the uncorroborated word of a “victim” who changed accusations after a search contradicted his story. While there is no evidence that this was due to racial bias, the fact remains that the NYPD has a long and shameful past of discriminating against black males. I have serious doubts that they would have given similar credence to such accusations if they were levied against another individual (ex. a white girl). 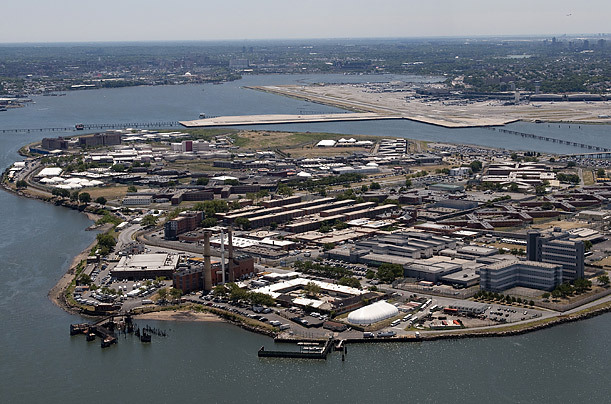 Second, a judge decided to set bail above the means of Browder’s family, condemning a minor with ties to the community to spend the time before his trial in Rikers Island, living with violent criminals and brutal guards. In effect, Browder was stuck in jail for years, simply because his family is poor and not because he was deemed a flight risk or danger to the community. If he were a wealthy kid (ex. 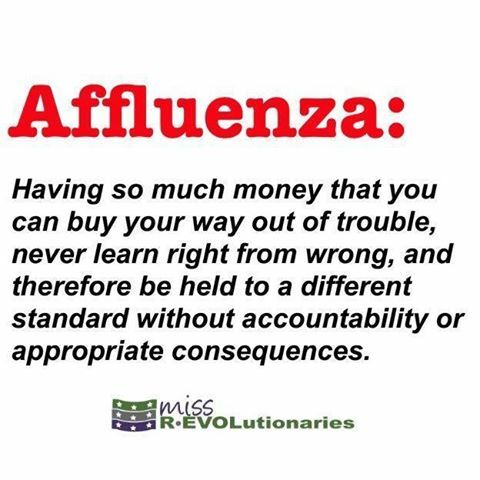 the affluenza “victim” Ethan Couch who didn’t serve a day in jail for robbery, DUI, and multiple hit and run homicides because he was so rich that it made him unable to assess the consequences of his actions), he would have been free immediately and stayed that way unless convicted at trial. Third, the prosecutors in this case were extremely immoral, and acted in an ethically reprehensible, if not technically criminal manner. They knew that their paper-thin case disintegrated when their sole witness/victim left the country and stopped returning their calls, yet they decided to cover this up rather than release Browder. By concealing their lack of a case from the defense and the court, yet keeping Browder in jail, the prosecutors tried to pressure him into accepting a deal. While everybody has a right to a trial, a miniscule percentage of those charged actually face a jury—over 95% of criminal cases in the USA end with the charges being dropped or pled down to lesser offenses. In fact, our justice system depends upon this, as we simply don’t have enough time or resources to bring every case to trial. If even half of defendants decided to force a trial, the entire legal system would descend into impossible gridlock that would rapidly consume state and local budgets and cripple the courts. Prosecutors know this simple reality and do everything in their power to compel defendants to plead out. 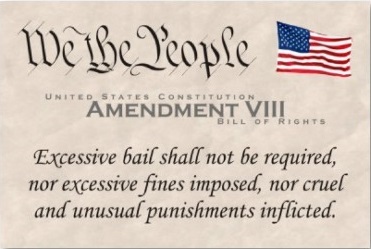 In addition to overcharging and threatening draconian sentences for minor crimes, prosecutors try to trap poor defendants in jail awaiting trial for such long periods of time that they eventually break and accept the deal. If Browder hadn’t taken a principled stand on refusing to admit his guilt in order to end his incarceration, he would just be another victim of this process. Unfortunately, this brutal tactic primarily applies to the poor, as they are the ones who cannot flood a court with high-quality motions and threaten to tar the prosecutors in the press. In fact, the rich reverse this tactic and threaten to draw out a trial, using their massive resources to drown the prosecution and waste so much of their money that the DA’s office cannot function. Fourth, Browder was given a decidedly sub-par defense, either because his lawyer was extremely overworked or because his lawyer was incompetent. There simply isn’t enough evidence to determine why Browder’s defense was so lackluster, but the fact remains that he spent years in jail because of a court case that couldn’t survive its own opening argument. Given that a back-bench high school debate team member could get a case with no victim, witnesses, or physical evidence dismissed, I tend to believe that the lawyer in this case was just overworked. This problem with sub-par public defenders is one that exclusively harms the poor, as they are the ones who lack the resources to hire private lawyers. By creating multiple tiers of lawyers (public defenders, mid-price lawyers, and large legal defense teams), we have created a tiered justice system, where the poor are far less able to mount a defense than the wealthy. Finally, Browder’s experiences in jail expose the terrible consequences of putting juveniles in jail. Browder was beaten by guards and put in solitary confinement for so long that he developed a severe mental illness. His death was a direct result of his treatment in jail and, in my opinion, he is as much a victim of our criminal justice system as Michael Brown, Tamir Rice, or any of the other individuals who have been publically murdered by police. Just like these other black men/boys, Browder was presumed guilty before ever facing a jury, abused and dehumanized by those in power, and robbed of his life far before his time. We must not let these deaths happen in vain. The police and prosecutors who are trusted to protect us must be held accountable when they commit such unethical and discriminatory acts in our names. The prosecutors who engineered this farce should be disbarred, the guards who abused Browder should be arrested, and the Browder family should win a multi-million dollar lawsuit against the city for the loss of their son. On a broader scale, reforms should be implemented to prevent this type of injustice from happening in the future (reforming the “speedy trial” motions to remove the loopholes, barring juvenile solitary confinement, etc.) and establishing a formal review process to be applied when such injustices are perpetrated in the future.